At long last the ratings are finally in for all 10 episodes of Most Haunted. So what do these ratings tell us then? Well it does show there was a genuine interest in the show coming back, and it started off with strong ratings, but those ratings fell and fell throughout the series. Only the last two episodes of 9 and 10 picked up. Almost the audience saying we lost interest but we want to see what you do to finish off with. If you look at the show as a whole, they lost nearly 100,000 viewers from episode 1 to 10, that is a HUGE number to lose. Most weeks they were beaten in the ratings by Ghost Adventures, and despite Ghost Adventures airing two episodes before Most Haunted each Thursday, people still turned the channel. Those are the negatives, but there are positives too, despite losing a third of their audience from episodes 1 to 10, they still consistently remained in the top 3 shows in the ratings on REALLY. UKTV who own REALLY, only paid £5000 to show the whole series, that is pennies in TV world, so really they are the winners here, as they got the show for virtually nothing. So the question is will Most Haunted return for another series? My guess would be yes, UKTV will probably offer more money knowing they will have a guaranteed top 3 show for their REALLY channel. Rumours are flying around that Karl Beattie wants to bring back pretend medium Brian Shepherd to the show, Brian happens to be one of our favourites mainly due to the fact he is so awful, that he becomes funny. 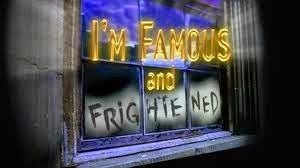 The question is can ANTIX afford to buy the rights back from Sky TV for the old format for Most Haunted? Because without the old format, we will have to put up with the same nonsense again. But the only true question everyone wants answering is, if Most Haunted does return, will the legendary Melanie Crump come back, or will the green eyed monster known as Yvette Fielding get her way (again) and see Mel Crump quietly disappear and never to appear on TV again! 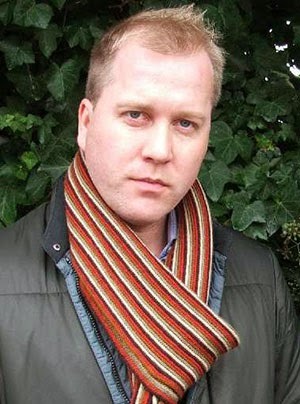 Over the years we have exposed many psychics, but one psychic always seemed like the ugly fat bloke who gets put through on X-Factor as a bit of a joke, and that person is Tony Stockwell. Completely devoid of any talent whatsoever, back in the mid 2000's by riding on the backs of the likes of Colin Fry and Derek Acorah, Tony Stockwell managed to carve out a little career for himself. And he even managed to weasel his way onto a TV show! Now as expected the TV show was the lowest of the low, a celebrity reality show! But during that show, he was accused of being a fraud. So here from the famous BadPsychics Archive, we take a look back at what happened. On the first day of this Live celebrity investigation of Aberdeen's Fyvie Castle, Celebrity Mockney Medium Tony Stockwell conducted a Table Tipping demonstration. The usual rountine took place, all the celebs had their fingertips on the table, at first nothing happened so celebrity medium Tony Stockwell put his hands on the table. As soon as he did the table started rocking, at this point celeb believer Daniella Westbrook left the table and stood back to watch. Every time the table started rocking Tony Stockwell moved back, as soon as he did the rocking of the table diminished. Later on, after the main show had gone off air, there was an extra live show, celeb believer Jeff Brazier stated that he believed that Tony Stockwell was pushing the table, Daniella Westbrook also admitted that something dodgy was happening although she did not accuse Tony Stockwell. A bit later on in the night Jeff Brazier made this comment. "He was definately blaggin' it, and if he blags that, who's to say he doesnt blag it all"
To sum up, two people who took part believed something dodgy was going on, one even stated he was sure that Tony Stockwell was rocking the table. Again keep in mind Jeff Brazier is a self confessed believer of the paranormal and a fan of Tony Stockwell. So was this an instance of psychic fraud? I will as always let you make your own mind up. Renowned magician James 'The Amazing' Randi has been wowing audiences with his jaw-dropping illusions, escapes and sleight of hand for over 50 years. When he began seeing his cherished art form co-opted by all manner of con artists, he made it his mission to expose the simple tricks charlatans have borrowed from magicians to swindle the masses. This entertaining film chronicles Randi's best debunkings of faith healers, fortune tellers and psychics. It documents his rivalry with famed spoon-bender Uri Geller, whom Randi eventually foiled on a high-profile television appearance. Another target was evangelist Peter Popoff, whose tent-show miracles and audience mind-reading were exposed as chicanery when Randi revealed a recording of Popoff's wife feeding him information through a radio-transmitter earpiece. 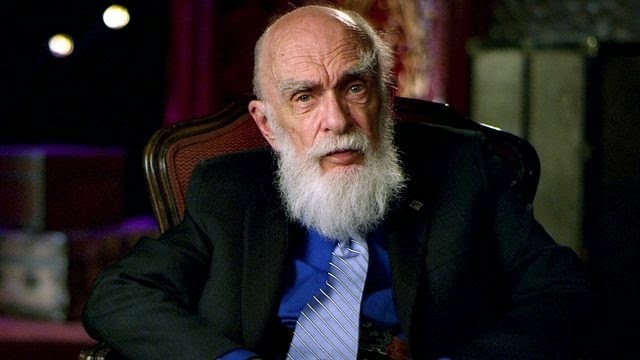 In telling Randi's strange, funny and fascinating life story, the film shows how we are all vulnerable to deception - even, in a surprising twist, 'The Amazing' Randi himself.